in Media Planning & Buying, Mobile Marketing, Search Marketing with tags Ad manager, ad marketplace, bing, google+, Marissa Mayer, Microsoft, mobile marketing, Search Marketing, tumblr, yahoo, Yahoo Gemini Both comments and trackbacks are closed. Less than two years into her tenure at Yahoo, President & CEO Marissa Mayer has proposed a new ad marketplace catered to mobile-minded consumers and designed to create branded experiences that are just as compelling as the platform’s regular content. Per Mayer and Yahoo, Yahoo Gemini represents “the first unified ad marketplace for mobile search and native advertising” – and will be managed via the existing Yahoo Ad Manager platform. The Feb. 19 announcement is the latest in a string of announcements since Mayer came to Yahoo that have challenged old partnerships, created new ones and altered the company’s strategy and focus. This post reviews the most significant changes to Yahoo’s ad business as of late, and details what these updates have to say about Mayer’s vision when it comes to the platform moving forward. In Jan. 2010, Yahoo’s then-CEO Carol Bartz brought the company into a ten-year alliance with Steve Ballmer’s Microsoft, in which Bing would power Yahoo’s natural results, and Bing Ads would power paid results. At the time, both companies said that the alliance would help marketers purchase ads more easily and achieve better results. The alliance also allowed the engines to dedicate more resources to improving their search experience with the hopes each would gain market share from Google. While the singular marketplace achieved its ambition to simplify the purchase and management of SEM ads across Yahoo and Bing, the vision of stealing search share from Google has not yet materialized. According to ComScore, the combined market share for both Bing and Yahoo is 28.7 percent – far below Google’s 67.6 percent share (Jan. 2014). Additionally, revenue per search has also fallen short of expectations. Not surprisingly, Mayer has seemingly expressed discomfort in the alliance on more than one occasion. At the Goldman Sachs Technology and Internet Conference in Feb. 2013, Mayer admitted that Yahoo’s search deal with Microsoft was underperforming. She noted that Bing’s increase in market share came at Yahoo’s expense (not Google’s), and critiqued her own company’s ability to monetize. More recently, Microsoft and Yahoo went to court over Yahoo’s search results for Taiwan and Hong Kong. Yahoo wanted to postpone having Microsoft power its results into 2014, but a court ruling in October mandated that Yahoo must continue its use of Microsoft’s search technology. The introduction of Gemini last week might be viewed as the company’s latest challenge to the alliance since it will mean that Yahoo will soon serve search ads outside of its own platform, apart from Bing. During Gemini’s launch, Yahoo reiterated its goal to simplify the purchasing process for ads and allow those ads to scale their reach, reflecting similar language to what was claimed at the start of the alliance. Even if Mayer’s goal is to regain full control over search, the recent court case shows that Microsoft will fight to maintain the agreement. Breaking the alliance may incur major concessions from Yahoo that could impact advertising opportunities and capabilities, but as Gemini shows, Mayer appears to be willing to do what she can to bring paid search back to Yahoo. At the World Economic Forum held last month, Mayer told delegates that 2014 will be the tipping point in the evolution of the Internet. “By the end of this year, (Yahoo) will have more mobile traffic than PC traffic,” she said. Mayer has taken several steps to position Yahoo for this change in device behavior. She closed unpopular apps (Yahoo Axis) and introduced new versions of Yahoo’s most high-profile apps (Yahoo Mail). This strategy has yielded positive results. For example, Flickr redesigned its iOS app and saw usage increase 25 percent. Additionally, under Mayer, Yahoo has purchased mobile-specific start-ups at a breakneck pace to boost capabilities. Last year, the company bought Summly for $30 million and turned it into Yahoo Daily Digest – and more recently, it purchased app-maker, Wander, best known for making a diary app called Days. Many of Yahoo’s recent mobile actions have been focused on building content and capturing smartphone users, and Gemini as well seems to indicate that Mayer is shifting Yahoo’s advertising capabilities to mobile. As marketers follow search movement from desktop to mobile, Yahoo’s ad platform is positioned to take advantage of this behavior. As Yahoo’s content and services capture high traffic and page views, display ads have been vital to the company’s revenue. For instance, advertising across certain pages can easily cost hundreds of thousands of dollars because they drive so much traffic. Excluding traffic acquisition costs, display advertising was a $491 million business for Yahoo in Q4 2013 and $1.7 billion for the full year. In spite of these figures, 2013’s display revenue was actually down from 2012. Mayer has been aggressive in introducing new products to boost revenues, including launching native ads that prominently feature images. For example, Yahoo Image Ad placements recently launched to feature brand images in full-screen, HD quality within slideshows. As Mayer continues to incorporate display-like ads into content, marketers will want to follow these actions (especially as standard banner ads are de-emphasized within the company’s offerings). Additionally, Yahoo is layering on more targeting options to these ads, giving marketers the ability to reach audiences by their previous online activities. For years, Yahoo has maintained an extensive array of content with high-traffic websites related to news, finance, entertainment and more. Under Mayer’s leadership, Yahoo’s content has grown extensively. In May 2013, Yahoo announced they were purchasing the microblogging site/social network Tumblr for $1.1 billion and closed the deal the following month. With more than 170 million blogs, the Tumblr acquisition added a major destination to Yahoo’s portfolio and acquired an audience that contributes approximately 100 million posts daily. And many other high-profile initiatives under Mayer have gone live to increase audiences. Yahoo Tech launched last October with David Pogue from The New York Times signing on to manage the site, and Yahoo recently partnered with Katie Couric to contribute to Yahoo News. Additionally, Yahoo revamped Flickr with a new UI and a terabit of free storage in order to remain competitive within the photography space and to maintain user loyalty. Marketers should monitor these acquisitions and homebrewed launches. Given the rapid pace of purchasing start-ups and established properties (Yahoo purchased 23 companies in 2013), audiences and ad opportunities could continue to increase in 2014. 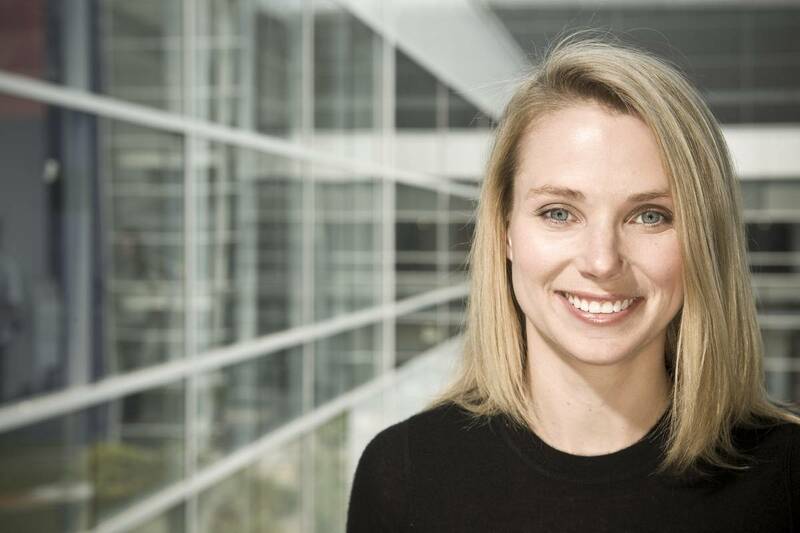 Since Mayer has assumed leadership at Yahoo, the company has enjoyed many successes. One could argue that Yahoo has a clearer strategy, better communications/PR results (the press is generally more positive than it was before she arrived) and purchasing ads across the network has never been easier. That said, full-year figures for 2013 had revenues down 6 percent at $4.7 billion, and search market share for Jan. 2014 was only 10.4 percent. In the Q4 earnings call, Mayer said that 2013 was about “doing many small but important things,” while 2014 is about “doing bigger things in key areas of growth with fewer changes, but each larger and more strategic.” Time will tell what those actions will be for this year, but they will likely impact their ad offerings and marketers. When Yahoo surprised the industry by announcing that a Google exec would lead the company, many questioned what Marissa Mayer would do. By focusing on Yahoo’s search, mobile and content offerings, she has executed a vision that the revolving door of previous CEOs failed to provide. As with any publisher partnership, marketers will want to weigh opportunities based on what is most appropriate given their brands’ objectives. However, if recent history and the Gemini announcement are any indication, advertisers will also want to monitor how Yahoo continues to define itself under Mayer and how the changes stand to impact ad opportunities down the road.